Chan is an artist with a focus on creating stunning original music inspired by the elegance of lounge and the catchy melodies of jazz. 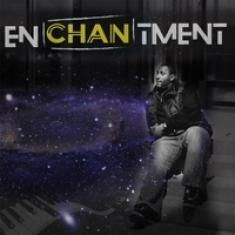 His recent studio release, Enchantment, stands out as a vibrant testimony of the artist's creative vision and kaleidoscopic skills at composition. The album features 13 new songs, making for the ultimate collection of classy and sophisticated chill-out music with a unique vibe. This record makes for very relaxing listening, and it is going to be a engagingly pleasant experience for all fans of jazz, lounge, and experimental styles with an easy-listening edge. Chan has a modern and direct approach to jazz songwriting, living up to the sound and feel of the masters of the past, but without being trapped in the same old cliches of the genre. On the other hand, the project is able to create a stunning soundscape that feels like perfect background music to any activity. Whether you are looking for some inspiring study instrumentals, or for a relaxing accompaniment to your car trips, this is highly recommended.